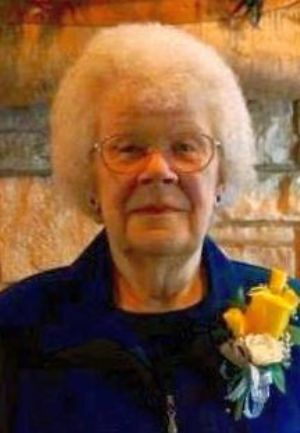 Betty Lou E. Retzlaff, age 83, of Ripon, WI, passed away on Sunday, September 16, 2018 with her loving family by her side. Betty was born on March 29, 1935 in Ripon, the daughter of Fred and Edna (Fude) Siewert. She graduated from Ripon High School and worked at Ripon Printers. On September 17, 1955 she married Arnold Retzlaff at Our Saviour's United Church of Christ, where she was an active, proud, and lifelong member. Betty enjoyed bowling in a league at Pin Bowl Lanes. She loved and cherished her family and time with her grandchildren and great-grandchildren. Betty is survived by her children, Linda Towne (Dennis) of Ripon, WI, Douglas (LeighAnn) Retzlaff of Palmetto, FL, David Retzlaff of Ripon, WI, Dale Retzlaff of Appleton, WI, Duane (Judy) Retzlaff also of Appleton, WI, and Dean (Lisa) Retzlaff of Fond du Lac, WI; two brothers, Ken (Joan) Fude of Rosendale, WI and Bob (Sue) Siewert of Fond du Lac, WI; two sisters, Delores (Larry) Retzlaff of Ripon, WI and Shirley (Hank) Grams of Ripon, WI; a sister-in-law, Lorraine (Earl) Fischer of Ripon, WI; grandchildren, Tanya (Todd) O'Connor of Sun Prairie, WI, Eric (Heather) Towne of Appleton, WI, Doug Retzlaff, Jr. of Palmetto, FL, Kyle Retzlaff also of Palmetto, FL, Dakin Retzlaff of Hawaii, Samantha and Katie Retzlaff both of Fond du Lac, WI; great-grandchildren, Everett, Harrison, and Charlie O'Connor, and Nickoli Retzlaff. Betty was preceded in death by her husband, Arnold; her parents, Fred and Edna; and a brother, Charles. Visitation for Betty will be held from 9:00 am until 12:00 pm on Saturday, September 22, 2018 at Our Saviour's United Church of Christ, 343 Scott Street, Ripon, WI, 54971. Funeral Services for Betty will be held at 12:00 pm on Saturday, September 22, 2018 at Our Saviour's United Church of Christ, with Rev. Dr. Kevin P. Mundell officiating. Interment will follow at Liberty Prairie Cemetery, Town of Utica, WI. Memorials in Betty's name may be directed to either The American Cancer Society, N19W24350 Riverwood Dr., Waukesha, WI, 53188; or Our Saviour's United Church of Christ, 343 Scott St., Ripon, WI, 54971.